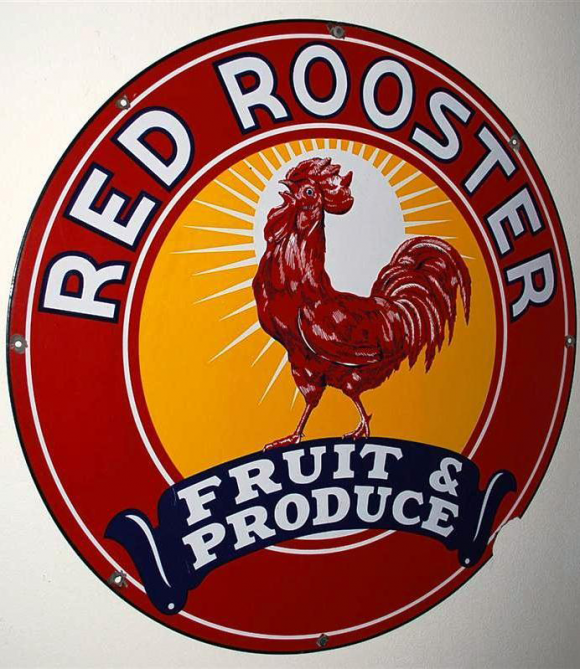 This is a round Red Rooster porcelain sign. This particular Red Rooster sign is predominantly red and yellow with white text. It reads, “Red Rooster, Fruit & Produce” and features a red rooster against a yellow background.